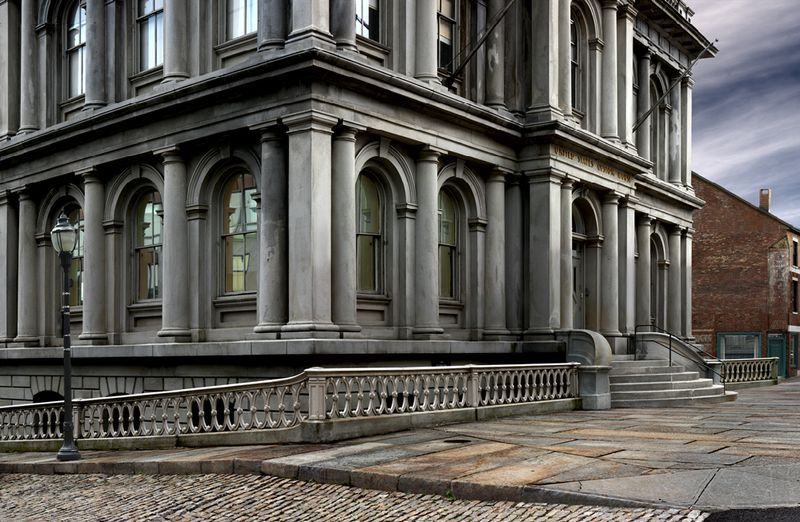 Location: Portland, Maine • Date: 6/26/10 • Standard Print (w & h): Image: 49.0" x 32.0"
This image of Portland's Custom House is composed of 14 individual shots taken at 120mm. I took these shots on an overcast Saturday afternoon. They were taken from the opposite side of the building than the perspective in the Edward Hopper watercolor Custom House, Portland (1927, Wadsworth Atheneum: Hartford, Connecticut).